Kungsleden AB has signed a six year lease agreement with Brammer Sweden AB for warehouse and office space in the property Högsbo 29:2 in Högsbo, located in southern Gothenburg. Högsbo is an expansive area located in the southern part of Gothenburg, focusing on warehouse, office and retailing premises. The area has a strategically important location close to the E6 and Gothenburg harbor, which makes the area attractive for industry and warehouse companies. “We are very pleased and proud that Brammer Sweden AB has chosen Kungsleden as their landlord. Brammer Sweden AB is one of Europe’s leading distributors of products and services to the industry sector. They have a customer oriented focus which aligns well with Kungsleden’s values. Of course, it’s also exciting to see how attractive Högsbo is for companies within the industry, logistic and office sector considering that Kungsleden is a dominating property owner in the area”, says Hans Carlsson, Assistant Property Manager at Kungsleden. 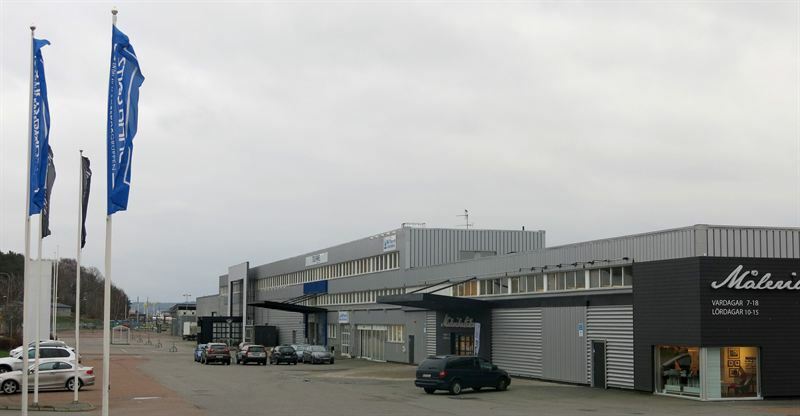 Brammer Sweden AB rents the premise, which consists of 3,500 sqm warehouse space and 448 sqm office space, as of February 2015. Kungsleden will make adjustments for approximately 2 MSEK according to Brammer Sweden’s needs and requests. “At Brammer we are very satisfied with the establishment of a new central storage site in conjunction with our large investment within Tools & General and Fluid Power. From Kungsleden we are now renting space suitable for our needs and which is also in the right location geographically to cover northern Scandinavia in an effective way”, says Jörgen Ottosson, Managing Director at Brammer Sweden. The information was provided for public release on 3 March 2015 at 02:00 p.m.